"King Salman" redirects here. It is not to be confused with King Solomon or King Salmon. Salman bin Abdulaziz Al Saud (Arabic: سلمان بن عبد العزیز آل سعود‎ Salmān ibn ‘Abd al-‘Azīz Āl Su‘ūd, Najdi Arabic pronunciation: [sælˈmæːn ben ˈʢæbd ælʢæˈziːz ʔæːl sæˈʢuːd]; born 31 December 1935) has been King of Saudi Arabia, Prime Minister of Saudi Arabia, and Custodian of the Two Holy Mosques since 23 January 2015. He was the Deputy Governor of Riyadh and later the Governor of Riyadh for 48 years from 1963 to 2011. He was then appointed Minister of Defense. He was also named the Crown Prince in 2012 following the death of his brother Nayef bin Abdulaziz. Salman became the new King of Saudi Arabia on 23 January 2015 following the death of his half-brother, King Abdullah. His major initiatives as King include the Saudi intervention in the Yemeni Civil War, Saudi Vision 2030, and a 2017 decree allowing Saudi women to drive. His son, Crown Prince Mohammad bin Salman, is a powerful figure within Saudi Arabia and has led many reforms within the country. Salman was born on 31 December 1935, and is reported to be the 25th son of Ibn Saud, the first monarch and founder of Saudi Arabia. Salman and his six full brothers make up the Sudairi Seven. He was raised in the Murabba Palace. Salman received his early education at the Princes' School in the capital city of Riyadh, a school established by Ibn Saud specifically to provide education for his children. He studied religion and modern science. 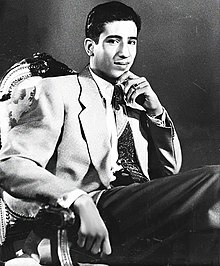 Salman was appointed deputy governor of Riyadh Province in 17 March 1954, aged 19, and held the post until 19 April 1955. He was appointed the provincial governor in 5 February 1963, and remained in that office until 5 November 2011. As governor, he contributed to the development of Riyadh from a mid-sized town into a major urban metropolis. He served as an important liaison to attract tourism, capital projects and foreign investment to his country. He favored political and economic relationships with the West. During his governorship, Salman recruited advisors from King Saud University. During Salman's five decades as Riyadh governor, he became adept at managing the delicate balance of clerical, tribal, and princely interests that determine Saudi policy. He was also the chairman of the King Abdulaziz Foundation for Research and Archives (KAFRA), King Abdulaziz Museum, the Prince Salman Center for Disability Research and the Prince Fahd bin Salman Charitable Society for the Care of Kidney Patients. Salman also undertook several foreign tours during his reign. In 1974, he visited Kuwait, Bahrain and Qatar to strengthen Saudi Arabia's relationship with those nations. During his visit to Montreal, Canada in 1991, he inaugurated a gallery. In 1996, he was received in the Élysée Palace in Paris by the then-French president Jacques Chirac. The same year he toured Bosnia and Herzegovina to give donations to the Muslim citizens of the country. Being a part of an Asian tour in 1998, Salman visited Pakistan, Japan, Brunei and China. According to the Washington Post, Saudi journalist the late Jamal Khashoggi "criticized Prince Salman, then governor of Riyadh and head of the Saudi committee for support to the Afghan mujahideen, for unwisely funding Salafist extremist groups that were undermining the war [in Afghanistan against the Soviets]." Every village or town in the Riyadh Region is dear to me, and holds a special place in my heart ... I witnessed every step taken by the city of Riyadh, and for this reason it is difficult for me to think about being far away from Riyadh. On 5 November 2011, Salman was appointed Second Deputy Prime Minister and Minister of Defense, replacing his full brother, the late Crown Prince Sultan (at Defense), Prince Sattam bin Abdulaziz was named as the governor of the Riyadh Province. Prince Salman was also named as a member of the National Security Council (NSC) on the same day. It is speculated that his placement in the immediate line of succession occurred due to his qualities. First, he has a conciliatory and diplomatic nature. He headed the family council, called The Descendants' Council (Majlis al Uthra in Arabic), that was established by King Fahd in 2000 to solve family matters, reach consensus and try to avoid any publicly embarrassing behaviour of some family members. Second, Salman belongs to the "middle generation" in the royal family; therefore, he could develop close ties with both generations socially and culturally. Last, as a result of his long-term governorship, he had developed a network of relationships within Arab and international circles. Salman continued the policy of military intervention in Bahrain, to try to crush the Bahrain uprising. In April 2012, Salman visited both the United States and the United Kingdom where he met with US President Barack Obama and British Prime Minister David Cameron. 2013 saw Saudi military spending climb to $67bn, overtaking that of the UK, France and Japan to place fourth globally. As defense minister, Salman was head of the military as Saudi Arabia joined the United States and other Arab countries in carrying out airstrikes against the Islamic State in Iraq and Syria in 2014. On 18 June 2012, Salman was appointed as Crown Prince of Saudi Arabia shortly after the death of his brother, Crown Prince Nayef bin Abdul-Aziz Al Saud. Prince Salman was also made First Deputy Prime minister. His nomination as crown prince and deputy prime minister was seen by some as a signal that King Abdullah's cautious reforms were likely to continue. On the other hand, Saudi reformists stated that while Prince Salman, in contrast to other Saudi royals, took a more diplomatic approach towards them, he could not be considered a political reformer. They also argued that, like King Abdullah, Salman focused mainly on economic improvement rather than political change. On 27 August 2012, the Royal Court announced that Salman was in charge of state affairs whilst King Abdullah was out of the country. Prince Salman launched a Twitter account on 23 February 2013. In September 2012, Salman was named as the deputy chairman of the military service council. He is a strong advocate for philanthropy in poor Muslim nations such as Somalia, Sudan, Bangladesh and Afghanistan. On 23 January 2015, Salman, aged 79, succeeded as king after his half-brother Abdullah died of pneumonia at the age of 90. The newly appointed king issued a statement which read "His Highness Salman bin Abdulaziz Al Saud and all members of the family and the nation mourn Custodian of the Two Holy Mosques King Abdullah bin Abdulaziz, who passed away at exactly 1 am this morning." He appointed his younger half-brother Prince Muqrin as the Crown Prince. After coming to power, Salman reshuffled the cabinet on 30 January 2015. Khalid bin Ali bin Abdullah al-Humaidan was made the intelligence chief. Prince Bandar bin Sultan was removed from his post in the security council and the adviser to the monarch was also removed as were the former monarch's sons Turki as governor of Riyadh and Mishaal as governor of Mecca. Ali al-Naimi remained the minister of petroleum and mineral resources, as did Saud al-Faisal of the Ministry of Foreign Affairs and Ibrahim Al-Assaf as finance minister. Salman also "gave a bonus of two months' salary to all Saudi state employees and military personnel", including pensioners and students, while also asking citizens to "not forget me in your prayers". In February 2015, he received Prince Charles during his six-day tour in the Middle East. They "exchanged cordial talks and reviewed bilateral relations" between the countries. One of the first things the King and his son, Mohammad bin Salman, did was to streamline the government bureaucracy. On the death of King Abdullah, there were as many as eleven government secretariats, and all of these were abolished and reconstituted as only two, the Council of Political and Security Affairs (CPSA), headed by Deputy Crown prince Mohammed bin Nayef, and the Council for Economic and Development Affairs (CEDA), headed by the Secretary General of the royal Court Prince Mohammad bin Salman, who were given free rein to completely reorganize the government and cementing the power of the Sudairi faction, to which both princes belong. In March 2015, the king ordered the bombing of Yemen and military intervention against the Shia Houthis and forces loyal to former President Ali Abdullah Saleh, who was deposed in the 2011 uprising. He first put together a coalition of ten Sunni Muslim countries. Code-named Operation Decisive Storm, this was the first time the Saudi Air Force had launched airstrikes against another country since the 1990–91 Gulf War. According to Farea Al-Muslim, direct war crimes have been committed during the conflict; for example, an IDP camp was hit by a Saudi airstrike. Human Rights Watch (HRW) wrote that the Saudi-led air campaign had conducted airstrikes in apparent violation of the laws of war. Human rights groups have also criticized Saudi Arabia for the alleged use of cluster bombs against Yemeni civilians. Salman in April 2015 after becoming king appointed a full nephew, Muhammad bin Nayef, as the new Crown Prince, replacing Salman's youngest brother Prince Muqrin. Furthermore, he made his son, Mohammad bin Salman, the Deputy Crown Prince. Almost all powers under the king were concentrated in the hands of the crown prince and deputy crown prince, both of whom held the portfolio determining all security and economic development issues in Saudi Arabia. King Salman removed Muhammad bin Nayef from the line of succession to the Saudi throne on 21 June 2017. He designated Mohammad bin Salman as the new crown prince. At the same time, King Salman removed Muhammad bin Nayef from his other positions in the Saudi government. Mohammad bin Salman has been described as the power behind the throne. In May 2015 the King Salman Center for Relief and Humanitarian Aid (KSRelief) was established to deliver aid internationally to victims of civil war and natural disaster, working with the UN and other agencies. As of June 2018, KSRelief has implemented more than 400 individual projects in 40 countries at a cost of $1.8 billion. Moreover, in 2018, KSRelief assisted 180,555 Syrian patients living in Zataari Syrian refugees camp in Jordan. In 2019, KSRelief signed a memorandum of cooperation with UNICEF that aims at enhancing cooperation in the humanitarian field, exchanging knowledge, sharing experiences, promoting voluntary work and boosting capacity building programs. Until 2019, the center provided 1,839 Yemeni civilians wounded during the war with prosthetic limbs for a total amount of $2.3 million. In its ongoing efforts to support people of Yemen, KSRelief organized a vocational training program to train women in Yemen to enable them to earn money for themselves and their families. In a similar context, under the umbrella of the UN, KSRelief has lead an international team to implement a rehabilitation project for the children affected by war in Yemen. Moreover, as part of the 40th session of the UN Human Rights' Council, KSRelief organized an event entitled: Children and the Humanitarian Crisis in Yemen where it presented a number of facts and figures related to the amount of assistance provided by the center to the people of Yemen. This includes the implementation of 328 projects for an amount of $2 billion. Furthermore, in 2018 alone KSRelief provided medical services to 2,501,897 Yemenis. In February 2012, Ali Mohammed Baqir al-Nimr was arrested for participating in, and encouraging, pro-democracy protests, when he was 16 or 17 years old. In May 2014, Ali Al-Nimr was sentenced to be executed, despite the minimum age for execution being 18 when a crime is committed. Ali Al-Nimr has reported that he was tortured during his detention. As of 23 September 2015, the sentence awaited ratification by King Salman. In February 2015, a man from Hafar Al-Batin was sentenced to death for rejecting Islam. In June 2015, Saudi Arabia's Supreme Court upheld the sentence of 1,000 lashes and 10 years in prison for Raif Badawi, a Saudi Arabian blogger who was imprisoned in 2012 after being charged for 'insulting Islam'. US Defense Secretary Ashton Carter met with the King and his Arabian military counterpart, Deputy Crown Prince Mohammad bin Salman, at Jeddah to answer regional security concerns in the Kingdom and the Gulf states over lifting Iranian economic and conventional military sanctions as the Joint Comprehensive Plan of Action outlines. The King has misgivings over the deal since it would increase the regional power of Iran especially in the proxy conflicts in Syria, Yemen, and elsewhere. In January 2016, Saudi Arabia executed the prominent Saudi Shia cleric Sheikh Nimr. Iran warned that the House of Saud would pay a high price for the execution of Sheikh Nimr by God's will. Saudi Arabia has emerged as the main group to finance and arm the rebels fighting against the Syrian government. Saudi Arabia openly backed the Army of Conquest, an umbrella rebel group that reportedly included an al-Qaeda linked al-Nusra Front and another Salafi coalition known as Ahrar al-Sham. King Salman has been implicated in the Panama Papers leaks, with two companies originating in the British Virgin Islands taking mortgages in excess of US$34 million to purchase property in central London. His role has not been specified. According to the TeleSUR, "King Salman’s net worth is estimated at US$17.0 billion." The then-Crown Prince Muhammad bin Nayef has also been named in association with the Papers. Further government reforms took place in June 2018, when King Salman replaced the labor and Islamic affairs ministers. The appointment as labor minister of Ahmed al-Rajhi, a businessman, signalled a growing role for private sector expertise in the Saudi government. The new minister for Islamic affairs, Abdullatif al-Alsheikh, had previously been credited with reining in the power of the religious police. At the same time King Salman ordered the establishment of a new Ministry of Culture, with responsibility for delivering Saudi Vision 2030's cultural goals; and the Council of Royal Reserves, tasked with environmental protection. Salman, US President Donald Trump, and Egyptian President Abdel Fattah el-Sisi touching The Orb at the 2017 Riyadh summit. Salman was often a mediator in settling royal conflicts among the extended Al Saud family – estimated at 4,000 princes. He was a prominent figure of the royal council, which allowed him to select which princes will be delegated which responsibilities of the Kingdom. Salman and his family own a media group, including pan-Arab daily Asharq Al-Awsat and Al Eqtisadiah. Though he owns only ten percent of the Saudi Research and Marketing Group (SRMG), he is often referred by auditors as its owner. He reportedly controls the organization through his son Prince Faisal, who is a former chairman of the concern. The SRMG publishes such daily papers as Arab News, Asharq Al-Awsat and Al Eqtisadiah through its subsidiary Saudi Research and Publishing Company (SRPC). In a similar vein, Salman is reported to have some strong alliances with significant journalists. He is said to be close to Al Arabiya TV director and Asharq Al-Awsat journalist Abdelrahman Al Rashid and to Othman Al Omeir, who launched and is the owner of the liberal e-newspaper Elaph. King Salman is thought to have connections with the Elaph website. Salman holds traditional views with regards to political reforms and social change. In November 2002, in reference to charitable organizations accused of terrorism (e.g. al-Haramain Foundation, Saudi High Commission for Relief of Bosnia and Herzegovina), he stated that he had personally taken part in the activities of such organizations, but added "I know the assistance goes to doing good. But if there are those who change some work of charity into evil activities, then it is not the Kingdom's responsibility, nor its people, which helps its Arab and Muslim brothers around the world." Al Jazeera referred to Salman's views reported in a 2007 US diplomatic cable. Salman said that "the pace and extent of reforms depend on social and cultural factors, ... that for social reasons—not [religious] reasons—reforms cannot be imposed by the [Saudi government] or there will be negative reactions, ... [and] that changes have to be introduced in a sensitive and timely manner." According to the cable, he said that "democracy should not be imposed" in Saudi Arabia, since the country "is composed of tribes and regions and if democracy were imposed, each tribe and region would have its political party." Salman bin Abdulaziz has been married three times. As of 2017[update], he had thirteen children. His first wife was Sultana bint Turki Al Sudairi, who died aged 71 in late-July 2011. She was a first cousin of Salman, being a daughter of his maternal uncle Turki bin Ahmad Al Sudairi, who was a former governor of the Asir Province. Sultana Al Sudairi supported the Prince Fahd bin Salman Charitable Society for the Care of Kidney Patients and other charitable organizations in the country. His children from this marriage are Prince Fahd, Prince Sultan, Prince Ahmed, Prince Abdulaziz, Prince Faisal and Princess Hassa (born 1974). His eldest son, Fahd bin Salman, died of heart failure aged 47 in July 2001. His third son, Ahmad bin Salman, died after a heart attack in July 2002 aged 43. Sultan bin Salman became the first person of royal blood, the first-ever Arab, and the first-ever Muslim to fly in outer space when he flew aboard the Space Shuttle Discovery (STS-51-G) in June 1985. Sultan bin Salman is currently the chairman of the Saudi Commission for Tourism & Antiquities (SCTA). Abdulaziz bin Salman has been the deputy minister of oil since 1995. Faisal bin Salman is the governor of Madinah province. His child from his second marriage with Sarah bint Faisal Al Subai'ai (divorced) is Prince Saud. His children from his third marriage with Fahda bint Falah bin Sultan Al Hathleen are Prince Mohammed, Prince Turki, Prince Khalid, Prince Nayif, Prince Bandar and Prince Rakan. Prince Mohammad was his private adviser at the Ministry of Defense and at the Crown Prince Court. Mohammad was appointed as the Minister of Defense and head of the royal court upon his father's accession to the throne in January 2015. Turki bin Salman became the chairman of the Saudi Research and Marketing Group in February 2013, replacing his elder brother Faisal bin Salman. Salman was the closest brother to Crown Prince Sultan, having remained at his side during his constant illness and recovery in New York and Morocco, from 2008-11. Prince Sultan described him as "the prince of loyalty" in a letter sent to him. Salman was also King Fahd's most trusted adviser during his reign. His legal counsel was William Jeffress, Jr., of US-based firm, Baker Botts LLP, in a lawsuit filed by families of victims of the 11 September terrorist attacks from 2002-10. In August 2010, Salman underwent spinal surgery in the United States and remained out of the kingdom for recovery. He has had one stroke and despite receiving physiotherapy; his left arm does not work as well as his right. Salman also suffers from mild dementia, specifically Alzheimer's. US intelligence officials believe that King Salman has been kept apart from his wife Princess Fahda bint Falah Al Hathleen for several years, on the orders of their son Prince Mohammad bin Salman. He was reportedly concerned that she opposed his plans for a power grab that could divide the royal family, and might have tried to prevent it. The officials interviewed said the prince placed his mother under house arrest without the king's knowledge. Salman received the Lifetime Achievement Award of the Al-Turath Charity Foundation in the field of urban heritage in 2013. In 2017, Salman pledged US$15,000,000 for Rohingya Muslim refugees in Bangladesh. ^ a b c d e "Profile: New Saudi Defense Minister Prince Salman bin Abdulaziz". Asharq Al-Awsat. Archived from the original on 14 February 2015. Retrieved 14 February 2015. ^ "An Heir to the Kingdom: New Crown Prince Salman" (PDF). The Diplomat. 35: 8–11. July – August 2012. Retrieved 9 February 2013. ^ Alexander Bligh. From Prince to King; Succession to the throne in Saudi Arabia. New York, New York University Press (1984). Arabic edition: Alexander Bligh. Min amir ila malik. London, D.A. Publications (1989). ^ a b "Crown Prince receives Lifetime Achievement Award in the field of Urban Heritage". National Built Heritage Forum. Retrieved 17 July 2013. ^ "Arab Rulers' Academic Degrees, Majors at a Glance". Retrieved 20 January 2019. ^ a b "His royal highness Prince Salman bin Abdulaziz". Ministry of Interior. Archived from the original on 30 September 2013. Retrieved 12 May 2012. ^ a b "Ministers with portfolio". Saudi Embassy, Washington DC. Archived from the original on 7 June 2012. Retrieved 19 June 2012. ^ a b c "Prince Salman bin Abdulaziz". PBS. Retrieved 26 May 2012. ^ Joseph A. Kechichian. Succession in Saudi Arabia. New York: Palgrave, 2001. Print. ^ Here's Everything We Know About The New Saudi King Business Insider. 23 January 2015. Retrieved 27 January 2015. ^ M. Taha, Sharif (5 May 2012). "Sharjah ruler among 18 to be honored by Prince Salyman". Arab News. Archived from the original on 9 May 2012. Retrieved 12 May 2012. ^ "In-Depth Study of King Faisal's Life Urged". Arab News. 11 May 2008. Archived from the original on 16 June 2012. Retrieved 8 June 2012. ^ Cafiero, Giorgio; Karasik, Theodore (2017). "King Salman's Return to Brunei Two Decades Later". IndraStra Global (3): 5. ^ "الجولات الخارجية لسلمان.. دعم للعلاقات وتعزيز للرؤية السعودية". Al Madina. Retrieved 14 February 2015. ^ "Jamal Khashoggi's long road to the doors of the Saudi Consulate". The Washington Post. 12 October 2018. ^ "Saudi Arabia names Prince Salman as new defence minister". BBC News. 5 November 2011. Retrieved 26 May 2012. ^ "The Allegiance Council". APS Diplomat News Service. 27 October 2011. Retrieved 16 March 2013. ^ Kapoor, Talal (2 July 2012). "Nayif's Passing – The Family Regroups". Datarabia. Retrieved 7 July 2012. ^ Amir Taheri (2012). "Saudi Arabia: Change Begins within the Family". The Journal of the National Committee on American Foreign Policy. 34 (3): 138, 143. doi:10.1080/10803920.2012.686725. ^ "Saudi Prince dead, Salman likely successor". Trade Arabia. 16 June 2012. Retrieved 17 June 2012. ^ "Al Saud move with speed to reconfigure top team after Nayef's death" (PDF). Gulf States Newsletter. 36 (926). 21 June 2012. Retrieved 23 February 2013. ^ "Saudis lead Middle East military spending". 14 April 2014. Al Jazeera. Retrieved 14 April 2014. ^ Patrick, Neil (17 June 2012). "Saudi Arabia: Crown Prince's death raises succession questions". BBC. Retrieved 17 June 2012. ^ Roberts, David (19 June 2012). "Saudi Succession after the Death of Crown Prince Nayef". RUSI Analysis. Archived from the original on 5 June 2013. Retrieved 12 April 2013. ^ a b McDowall, Angus (18 June 2012). "Saudi appoints Prince Salman as crown prince". Reuters. Retrieved 18 June 2012. ^ a b Allam, Abeer (26 August 2012). "Saudi Arabia: In a restless realm". Financial Times. Retrieved 26 August 2012. ^ "Crown prince in charge as Saudi king leaves on holiday". Riyadh. Reuters. 27 August 2012. Retrieved 27 August 2012. ^ "Saudi Crown Prince Salman launches Twitter account". Al Arabiya. 26 February 2013. Archived from the original on 26 February 2013. Retrieved 3 March 2013. ^ "Saudi- Authority to monitor audiovisual media". MEFAFN. Arab News. 4 September 2012. Archived from the original on 14 August 2014. Retrieved 4 September 2012. ^ "Saudi Arabia buries its king: Thousands gather in Mecca as King Abdullah is laid to rest in Riyadh after losing battle with pneumonia". Daily Mail. Retrieved 17 February 2015. ^ "Saudi Arabia's King Salman unveils cabinet reshuffle". BBC News. Retrieved 3 February 2015. ^ "King Salman receives Prince Charles in Riyadh". Al Arabiya. Retrieved 14 February 2015. ^ Mohammad bin Nayef takes leading role in Saudi Arabia Gulf News. 17 February 2015. Retrieved 13 March 2015. ^ Kasinof, Laura. "How Yemen's Civil Conflict Turned Into a Regional Proxy War". The Nation. ^ "Yemen: Saudi-Led Airstrikes Used Cluster Munitions". Human Rights Watch. 3 May 2015. ^ Fanack. "A New Wind in Saudi Arabia". Fanack.com. Retrieved 14 July 2015. ^ McDowall, Angus; Aboudi, Sami; Hashem, Mostafa; El Dahan, Maha; Shamseddine, Reem; Gloystein, Henning; Mohammed, Arshad (29 April 2015). Maclean, William; Fletcher, Philippa; Graff, Peter (eds.). "Saudi king resets succession to cope with turbulent times". Riyadh. Reuters. Archived from the original on 14 May 2017. Retrieved 23 April 2016. ^ Transcript: Interview with Muhammad bin Salman Archived 9 January 2016 at the Wayback Machine The Economist, 6 January 2016. ^ "King Salman relief center implements 428 projects worth $1.7 bln". Al Arabiya. 26 June 2018. Retrieved 24 September 2018. ^ "King Salman Humanitarian aid agency treats 180,000 Syrian patients in Jordan". Arab News. 4 January 2019. Retrieved 4 January 2019. ^ "KSRelief inks cooperation deal with UNICEF". Arab News. 13 February 2019. Retrieved 18 February 2019. ^ "Saudi Arabia's relief center prosthetic limbs project benefits 1,839 Yemenis". Arab News. 24 February 2019. Retrieved 25 February 2019. ^ "KSRelief launches pilot project for female breadwinners in Yemen". Arab News. 7 March 2019. Retrieved 7 March 2019. ^ "Saudi Arabia's aid agency takes steps to improve rehab projects". Arab News. 6 March 2019. Retrieved 7 March 2019. ^ "KSrelief Holds Seminar on Children, Humanitarian Crisis, in Yemen, in Geneva The official Saudi Press Agency". www.spa.gov.sa. Retrieved 13 March 2019. ^ "Saudi Arabia's KSRelief team discusses Yemen livelihood project". Arab News. 7 April 2019. Retrieved 7 April 2019. ^ "Father of Ali, Saudi teen slated for public execution, speaks out". ^ "Saudi Arabia court gives death penalty to man who renounced his Muslim faith". The Daily Telegraph. 24 February 2015. ^ "Saudi court upholds blogger's 10 years and 1,000 lashes". BBC. 7 June 2015. ^ a b "Saudi execution of Shia cleric sparks outrage in Middle East". The Guardian. 2 January 2016. ^ "Gulf allies and ‘Army of Conquest’". Al-Ahram Weekly. 28 May 2015. ^ a b "Saudi King, UAE President at the Center of the Panama Papers". TeleSUR. 4 April 2016. ^ "The who's who of Middle East leaders and their secret billions". Middle East Eye. 4 April 2016. ^ "King Salman's reign sees largest structural reforms in history of Saudi Arabia". Al Arabiya. 2 June 2018. Retrieved 24 September 2018. ^ "FaceOf: Ahmed bin Suleiman Al-Rajhi, new minister of labor and social development". Arab News. 4 June 2018. Retrieved 24 September 2018. ^ a b Al Omran, Ahmed (2 June 2018). "Saudi Arabia creates new departments in reshuffle". Financial Times. Retrieved 24 September 2018. ^ "Saudi Arabia seeks ecotourism boost by protecting environment, wildlife". Arab News. 3 June 2018. Retrieved 24 September 2018. ^ a b c "Ideological and Ownership Trends in the Saudi Media". Wikileaks. 11 May 2009. Archived from the original on 16 January 2013. Retrieved 26 May 2012. ^ "9 Challenges Facing The New Crown Prince of Saudi Arabia". Alifarabia. 30 October 2011. Archived from the original on 22 November 2011. Retrieved 26 May 2012. ^ "Al-Faiz new editor in chief of Arab News". SRPC. Retrieved 30 April 2012. ^ Sullivan, Kevin (23 January 2015). "Before he was king, Salman was the family disciplinarian who put princes behind bars". The Washington Post. Retrieved 25 January 2015. ^ a b Brisard, Jean Charles (19 December 2002). "Terrorism financing. Roots and trends of Saudi terrorism financing" (PDF). the Security Council, United Nations. Archived from the original (PDF) on 21 March 2012. Retrieved 15 April 2012. ^ Carlstrom, Gregg (16 June 2012). "Nayef's conservative policies to outlive him". Al Jazeera. Retrieved 17 June 2012. ^ a b Gfoeller, Michael (1 April 2007). "Ambassador's farewell call on Riyadh Provincial Governor Prince Sulayman". WikiLeaks. WikiLeaks cable: 07RIYADH651. Archived from the original on 1 January 2015. Retrieved 1 January 2015. ^ "Prince Sulayman Named Saudi 'Crown Prince'". Arab Times. Riyadh. 18 June 2012. Retrieved 26 February 2013. ^ Sanchez, Raf (21 June 2017). "Who is Mohammed bin Salman, the 31-year-old future king of Saudi Arabia?". The Telegraph. Retrieved 12 January 2018. ^ "Princess Sultana". Eugene Register Guard. 19 June 1983. Retrieved 9 February 2013. ^ a b "Sultana, wife of Riyadh Emir, passes away". Saudi Gazette. 3 August 2011. Archived from the original on 28 December 2013. Retrieved 26 May 2012. ^ David D. Kirkpatrick (6 June 2015). "Surprising Saudi Rises as a Prince Among Princes". The New York Times. Riyadh. Retrieved 29 October 2015. ^ "Sultana bint Ahmad bin Muhammad al Sudairi". Datarabia. Retrieved 8 May 2012. ^ a b "Kingdom mourns loss of princess". The Siasat Daily. 3 August 2011. Retrieved 26 May 2012. ^ "Death of a Generous man". The Telegraph. 25 July 2001. Retrieved 3 March 2013. ^ Bradley, John R. (23 July 2002). "Prince Ahmed's cousin killed on way to funeral". USA Today. Retrieved 26 May 2012. ^ "First Arab astronaut makes a royal tour of space". The Windsor Star. New York. 20 June 1985. pp. B12. Retrieved 3 March 2013. ^ "Saudi oil assistance to Pakistan proceeding slowly". Wikileaks. 30 July 2008. Archived from the original on 26 May 2012. Retrieved 26 May 2012. ^ Hugh Miles (23 October 2015). "Saudi Arabia: Eight of King Salman's 11 surviving brothers want to oust him". Independent. Retrieved 22 April 2016. ^ "Family Tree of Salman bin Abdulaziz bin Abdul Rahman Al Saud". Datarabia. Retrieved 1 May 2012. ^ "Prince Sultan arrives to Bahrain to attend Bahrain Grand Prix". Bahrain News Agency. 22 April 2012. Retrieved 23 April 2012. ^ "Saudi Prince Mohammad bin Salman named defense minister". Al Arabiya. 23 January 2015. Retrieved 23 January 2015. ^ "Prince Turki succeeds Prince Faisal as SRMG chairman". Arab News. 9 February 2013. Retrieved 9 February 2013. ^ "Late crown prince's letter shows his deep love toward Sulayman". Arab News. 26 December 2011. Retrieved 29 July 2012. ^ Wihbey, Paul Michael (1997). "Succession in Saudi Arabia: The not so silent struggle". IASPS Research Papers in Strategy (4). Retrieved 14 May 2012. ^ Viorst, Milton (January – February 1996). "The storm and the citadel". Foreign Affairs. 75 (1): 93–107. doi:10.2307/20047470. Retrieved 1 June 2012. ^ "Representative Engagements". Baker Botts L.L.P. Archived from the original on 5 August 2012. Retrieved 7 June 2012. ^ "King Sulayman bin Abdulaziz undergone successful surgery, Royal Court statement says". Gulf in the Media. 17 August 2010. Retrieved 26 May 2012. ^ Henderson, Simon (10 April 2012). "The Man Who Would Be King". Foreign Policy. Retrieved 12 April 2012. ^ Henderson, Simon (10 January 2013). "To Stop Iran, Get a New Saudi King". The Atlantic. Retrieved 19 April 2013. ^ Next after next… The Economist (Cairo). 5 April 2014. Retrieved 4 August 2014. ^ David Ignatius (28 June 2016). "A 30-year-old Saudi prince could jump-start the kingdom — or drive it off a cliff". The Washington Post. Retrieved 20 May 2016. ^ Miles, Hugh (23 October 2015). "A family revolt could bring down the Saudi monarchy". Retrieved 21 September 2016. ^ "U.S. officials: Saudi crown prince has hidden his mother from his father, the king". Nbcnews.com. Retrieved 27 June 2018. ^ News, EIN (20 September 2017). "Saudi Arabia Pledges $15 Million to Aid Rohingya Muslims in Myanmar". einnews.com. ^ "Saudi King Salman begins official visit to Bahrain". ^ "Saudi King Salman receives Bangladesh PM, holds lunch in her honor". ^ [King Salman holds talks with Djibouti leader "King Salman holds talks with Djibouti leader"] Check |url= value (help). ^ "Egypt's Sisi awards Saudi King Salman 'Order of the Nile' honour". ^ "Top Guinea medal for King". ^ "King Salman to hold talks with Japanese premier today". ^ "Saudi Arabia's King Salman receives Jordan's highest award". ^ "Saudi King Salman increases Indonesia's haj quota". ^ "Kuwaiti Crown Prince hosts banquet in honor of King Salman". ^ "Mexico eyes Gulf investment funds". ^ "A New King for Saudi Arabia: H.E. King Salman bin Abdulaziz Al Saud". ^ "Saudi Arabia's King Salman Arrives in Morocco". ^ "King Salman, Niger president discuss ties". ^ "Nawaz Sharif holds talks with Saudi King Salman". ^ "Mahmoud Abbas and King Salman bin Abdul Aziz Al Saud". ^ "Macky Sall reçu et décoré par le Roi Salman d'Arabie Saoudite". ^ "King Salman awarded medal of honor". ^ "Saudi Arabia's King Salman Holds Official Talks With South Africa's Zuma". ^ "King Salman, Tunisian president hold talks, oversee signing of two deals & confer medals". ^ "Colloqui ufficiali tra il Custode delle Due Sacre Moschee e il Presidente Erdogan, nel corso della visita di Stato di Re Salman in Turchia". ^ "King starts Gulf tour with UAE visit". ^ "Riyadh, Kiev cement relations with President Poroshenko's Saudi visit". ^ "Family Tree of Salman bin Abd al-Aziz bin Abd al-Rahman Al Saud". Datarabia. Archived from the original on 29 June 2013. Retrieved 11 August 2017. Wikimedia Commons has media related to Salman of Saudi Arabia.